“`Sutherland appeared in over 140 movies, and many were top productions. Over his long career, he was cast in horror flicks starring Christopher Lee. Sutherland transitioned into fine motion pictures, such as The Dirty Dozen, M*A*S*H, Klute, Kellys Heroes, Start the Revolution without Me, Animal House, a 1970s remake of Invasion of the Body Snatchers, Ordinary People, Backdraft, A Time to Kill, JFK, Cold Mountain, Space Cowboys, and The Hunger Games series. The honorary Oscar compliments an Emmy and two Golden Globes he has earned. “`In 2016, Donald Sutherland (above) was a member of the main competition jury of the Cannes Film Festival. “`The 9th Annual Governors Awards gala is set for November 11th at the Ray Dolby Ballroom, just upstairs from the Dolby Theatre, where the 90th Academy Awards will be presented on March 4th, 2018. 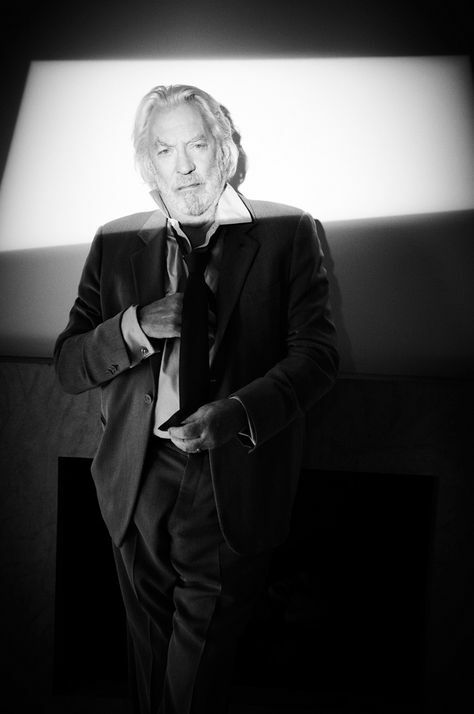 Congratulations to the versatile Donald Sutherland for this accolade that honors the body of his work. This entry was posted on Wednesday, September 6th, 2017 at 8:11 pm	and is filed under Blog by Manny Pacheco. You can follow any comments to this post through the RSS 2.0 feed. Responses are currently closed, but you can trackback from your own site.